Former Presidential Assistant for Economic Affairs Jose Alejandrino in one of his open letters to the public, said that not all the most infamous social issues should be blamed on President Rodrigo Duterte. 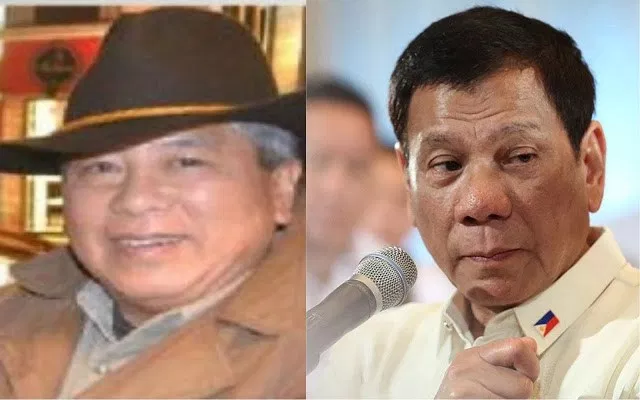 Alejandrino, who stepped down from office earlier this year, said last Thursday that Duterte did not make pave the way nor create the most pressing problems in the country. "Duterte did not create corruption. It is our political system that was responsible for it. Duterte did not promote the spread of illegal drugs. It was the previous administration which promoted it," he said. "Duterte is not responsible for the loss of Mischief Reef and Scarborough Shoal. Mischief was lost during the time of FVR and Scarborough during the time of Noynoy. Now some are advocating a war with China to recover them," he added. Since he took office, the President has focused in maintaining good relations with Asian neighbors and has yet to focus on the territorial disputes with them. Alejandrino also mentioned the growing tension between Duterte and the communists. "Duterte is not responsible for the insurgency. The communist insurgency grew during the time of Cory. Duterte is not responsible for terrorism. His military took back Marawi from terrorists. The Opposition criticized him for imposing martial law in Mindanao," he said. "Duterte cleaned up his own backyard in Davao. Now his critics are blaming him for wanting to do the same throughout the nation. Duterte did not destabilize any duly-elected president. Now the Opposition wants to oust him as the duly-elected president," he added. The former Presidential adviser said that he has grown exhausted of the "nonsense". "We are tired of this nonsense. The only way to end it as I had said before is by a revolutionary government," he said. Duterte did not create corruption. It is our political system that was responsible for it. Duterte did not promote the spread of illegal drugs. It was the previous administration which promoted it. Duterte is not responsible for the loss of Mischief Reef and Scarborough Shoal. Mischief was lost during the time of FVR and Scarborough during the time of Noynoy. Now some are advocating a war with China to recover them. Duterte is not responsible for the insurgency. The communist insurgency grew during the time of Cory. Duterte is not responsible for terrorism. His military took back Marawi from terrorists. The Opposition criticized him for imposing martial law in Mindanao. Duterte cleaned up his own backyard in Davao. Now his critics are blaming him for wanting to do the same throughout the nation. Duterte did not destabilize any duly-elected president. Now the Opposition wants to oust him as the duly-elected president. We are tired of this nonsense. The only way to end it as I had said before is by a revolutionary government."